Do you own a leather jacket? How about a plaid shirt or simple long sleeve tee? My guess is you’ve been wearing these often during the fall. 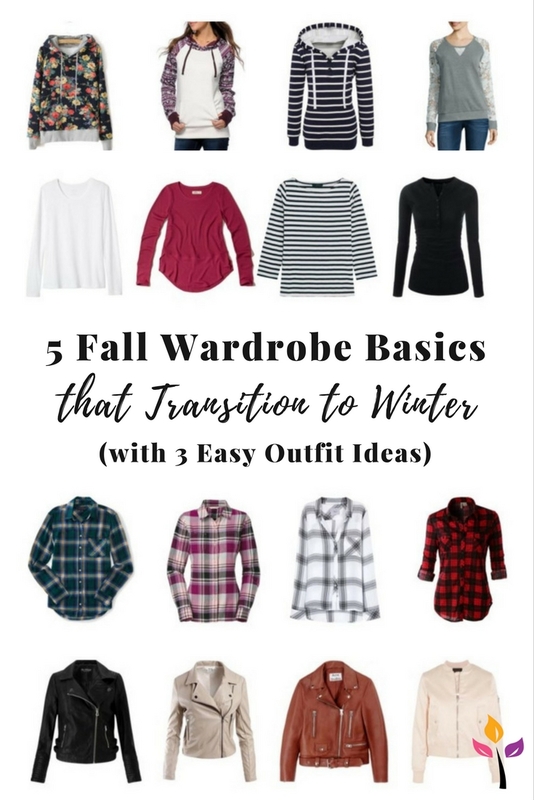 Today we’re going to look at how these and other basic fall clothing items can transition into warmer outfits for winter. 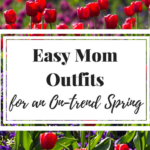 All of these clothing items are mom-friendly and very versatile—important factors for a mom’s wardrobe! If you don’t already own an item in these categories, you might consider adding them to your shopping list. 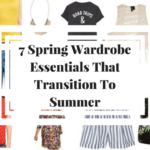 You know they will serve you through at least two seasons, perhaps even the spring and summer too (hoodies and simple dresses!). These classic completer pieces add a factor of chic to outfits. This is especially helpful when the priority with winter outfits is staying warm. You can be both warm and classy with leather jackets and the addition of other accessories. 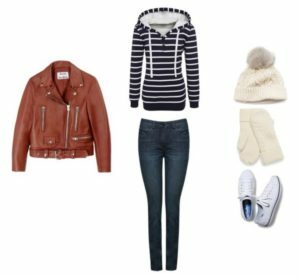 While on their own leather jackets may not be warm enough for the dips in temperature experienced in the winter, they can either be worn over a sweater or paired with scarves, hats or gloves to keep you cozy yet chic. 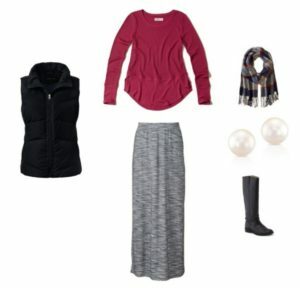 Wear long sleeve tees with a scarf around the house, and add a vest, button-down top, or winter jacket when going out. Long sleeve shirts are a basic starting point for many warm winter outfits, so be sure to own at least 2-3 in neutral tones like navy, white, olive, gray and 1-2 in an accent color or two you love. These popular fall pieces are perfect for winter too. To stay extra warm, you can wear a long sleeve tee underneath. You can also layer a pullover sweater over a plaid top, cuffing the sleeves up over the sweater for a classic and relaxed look. Lately I’ve been realizing the important place this category holds in a mom’s wardrobe—especially the stay-at-home mom. 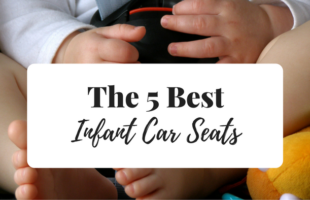 Because comfort and warmth are top priorities when you’re home taking care of littles, zip-up hoodies and pullover sweaters often become the go-to. 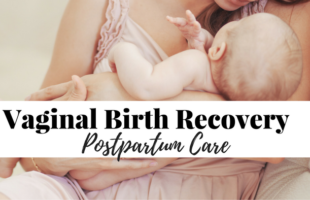 While this can contribute to a frumpy mom look, it doesn’t have to. There are adorably feminine sweatshirts available with cute feminine details (I posted a round-up from Amazon here). These are great to have on hand for those cozy winter days at home. Remember those maxi dresses I recommended in the Summer to Fall Transitions post? They continue to be a versatile part of your wardrobe into the winter. The key to wearing dresses in the winter is layering. Wear them with tights, boots, vests, sweaters, scarves, jackets, etc. Neutral colored dresses offer the most outfit combinations. 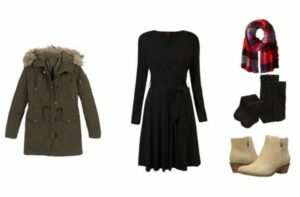 Here are three basic outfit formulas to get you thinking creatively about your winter outfits! Don’t forget to activate Ebates or TopCashBack for free cashback on any purchases you might make!